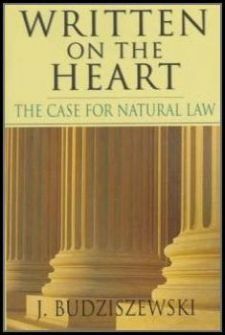 This, the earliest of my books on natural law, is most often used as a textbook for undergraduates with a special interest in political philosophy. Three chapters deal with the foremost pagan natural law thinker, three with the foremost Christian natural law thinker, three with the natural law revisionist who most strongly influenced the American framers, and three with one of the most influential modern opponents of natural law. The final three chapters bring us to the present.